Prime Minister O'Neill says the change in the cabinet is to better positioned the Government to take advantage of current emerging development opportunities. He highlighted new projects by Total S-A, development of the P'nyang Gas field by ExxonMobil, emerging transportation infrastructure projects and a wealth of new tourism opportunities, which he says, will underwrite the ongoing strength of PNG's economy into the future. Mr. O'Neill said, one of the main challenges is to try and bring of the projects that we gave in the pipeline into full development stage, especially in the petroleum and mineral energy sector, that is why they had to make some changes that will give us some level of comfort that we want to conclude many of these particularly the agreements as quickly as possible so that we can put more Papua New Guineans into jobs over the next few years so that they can also continue to draw the economy and have their living standards continue to improve". 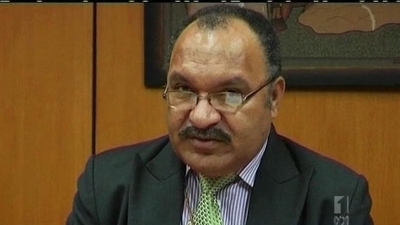 Peter O'Neill also says, the change is to give the Ministers an extended period to advance their departments and to ensure there is stability in the Government.